Simply Jen: Jen's Wonder Lemonade! Many of my friends, family, and customers from all over the world are announcing that they are sick! I myself have not been following my own advice or using my own Immunity of Thieves oil to stay well, and I woke up with some stuff going on in my sinuses. So, since I have been receiving requests for my "Wonder Lemonade" I decided to post it here for all to use and benefit from! This recipe is a keeper for many reasons - especially during times of sickness. 1) REAL maple syrup provides vitamins, minerals, and sweetness while also altering the body's pH to a more alkaline state. Disease and illness have a hard time surviving in an alkaline state. The average American diet puts most bodies in a very acidic state - leaving them more susceptible to illness. Maple syrup contains: potassium, calcium, magnesium, and manganese. These minerals maintain cell integrity, regulate heartbeat, strengthen bones, regulate critical enzymes, release of energy, relax muscles, and promote resistance to tooth decay by holding calcium in tooth enamel. The vitamins present in pure maple syrup are PP (Niacin), B5 (Pantothenic Acid), B2 (Riboflavin), Folic Acid, B6 (Pyridoxine), Biotin, and Vitamin A. Vitamins are essential, organic nutrients that serve as as helpers in cell functions. .
2) FRESH lemon juice has a blood cleansing effect and also provides a more alkaline state. 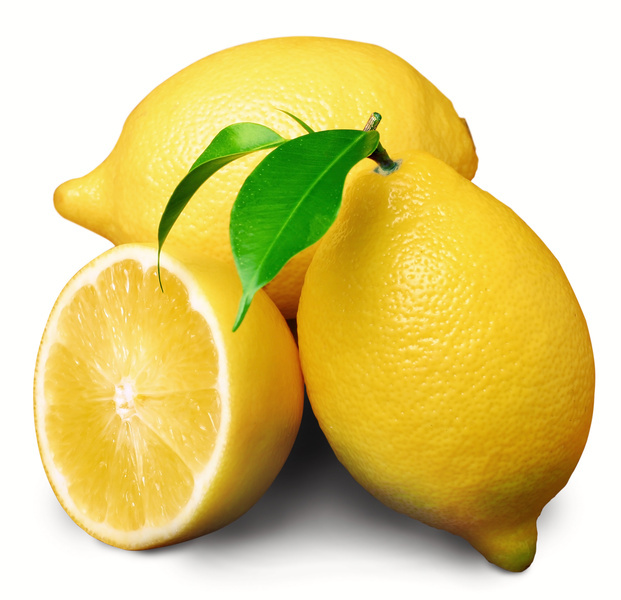 FRESH lemon juice flushes out toxins and is high in vitamin C, potassium, and vitamin B1. Lemon juice regulates the digestive tract, boosts liver function, helps the body's immune system to fight off infection and the common cold, and helps rid the body of harmful bacteria and toxins. The vitamin C found in lemon juice also helps the body to maintain an adequate level of calcium which leads to strong teeth and bones. 3) Liquid Cayenne Pepper is a natural antibiotic, powerful disinfectant, fights infection, breaks up mucous and provides relief from sore throats. Here is another rendition of my lemonade recipe taken as a "shot". Great if you want something quick and potent and can handle some spice. Also great if you want to use cayenne but only have the powder. I hope this helps bring you all relief at the tail end of this winter and all year long! I'd love to hear from you about how you like the recipe or how you've changed it to make it better!